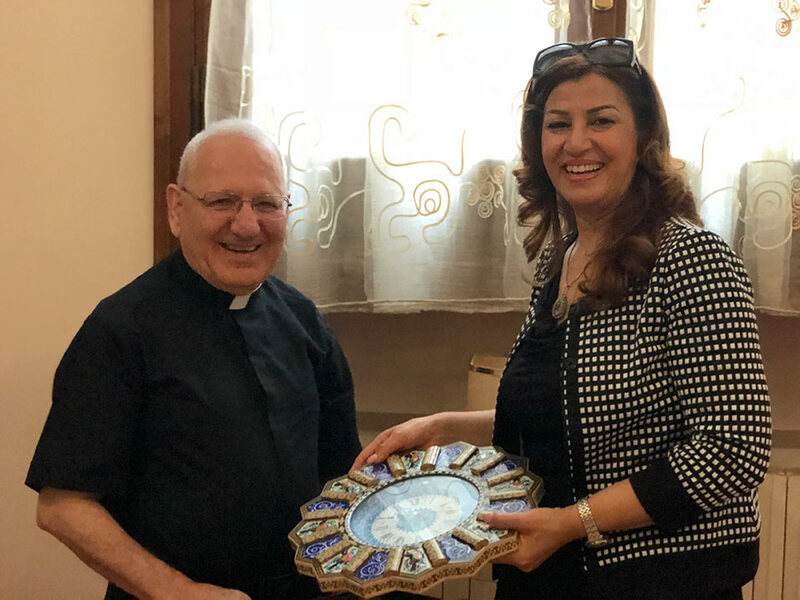 Today, the High Representative of the Kurdistan Regional Government in Italy and to the Holy See, Mrs. Rezan Kader, met a Rome His Eminence Cardinal Louis Raphael I Sako, Patriarch of Babylon of the Chaldeans in Iraq following the appointment as Cardinal happened last June 28th. The parties discussed on the current situation of Christians in Iraq and in the Kurdistan Region and future points of common development for the stabilization of the area in dialogue with all the components present. Mrs. Kader expressed congratulations for the prestigious appointment, a testimony of the Holy Father's support and closeness to the Chaldean Church and in general to all the Christians present in the area.